Decosol Inc. is an award winning, family owned, and full-service custom window treatment provider, serving South Florida and it’s surrounding areas for over two decades. At Decosol, our goal is to create unique window treatment solutions that are efficient, budget friendly, easy to maintain, and complement any décor and lifestyle. To ensure superior quality and to guarantee the best service and warranties the industry has to offer, Decosol Inc. partners with well-known, award winning manufacturers. 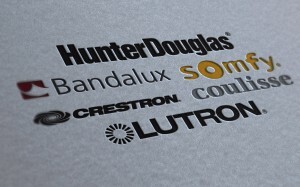 Our Brands Include Hunter Douglas, Somfy, Lutron, Bandalux, Crestron, Coulisse, and QMotion. We understand that your time is valuable. To make things more convenient for you, we offer FREE on-site consultations in the South Florida area. You name the place, and we will bring our show room to you! With the help of one of our expert designers, you can browse through our collection of fabrics, colors, and window treatment designs from the comfort of your home or office. Decosol welcomes designers and customers to engage our professional services in our trade-only showroom in Doral. Open your Decosol account today and discover for yourself why we are the #1 Design Center Gallery in Maimi! Now It’s easier to buy! We can help you decorate your house the way you want it, when you want it – by extending your payments. PayPal Credit is quick and easy to arrange – you can get an approval the first time you visit our store. Come in today and find out all the details.